Daimler and BMW are looking to limit their planned cooperation to jointly produce an affordable electric car in China, German daily Sueddeutsche Zeitung reported on Wednesday. Last month, news reports said that BMW and Daimler are in talks to cooperate in developing vehicle platforms for electric cars in a step that could save each carmaker at least $7.85 billion. Both companies have acknowledged cooperation talks, which include sharing engineering costs for driverless cars, but BMW and Daimler have repeatedly declined to comment on whether their cooperation could include entire vehicle platforms. According to Sueddeutsche Zeitung Daimler and BMW are now planning a joint electric car in the price range between 27,500 and 32,500 euros, a price segment that offers the opportunity to open up a mass market for electric cars. It is still unclear whether the project will actually be carried out and the two companies will launch a joint venture and share the capacity of a new plant in China, which could produce one million electric cars over a period of seven years, the paper said. 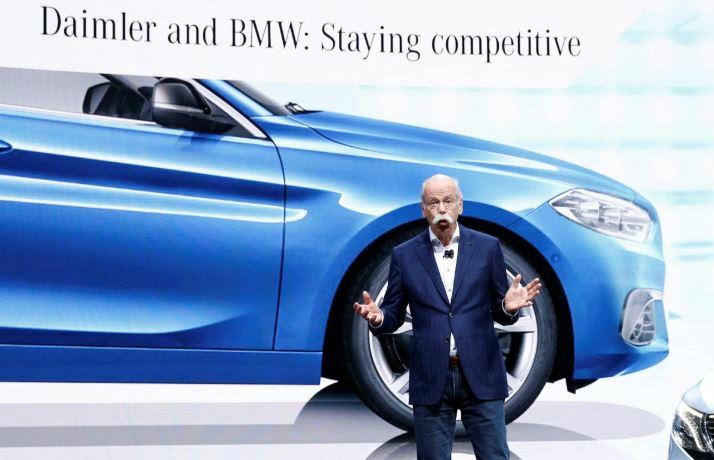 The plan has been met with criticism from some managers at BMW and Daimler, both of which also have cooperation plans with local Chinese partners, the paper said, adding that BMW is concerned that its brand could be diluted by a deal with Daimler. The post Daimler, BMW to limit cooperation to affordable electric car in China appeared first on SABC News – Breaking news, special reports, world, business, sport coverage of all South African current events. Africa's news leader..